THQ Nordic is making it easier and a lot cheaper for newcomers to experience the entire Darksiders series. 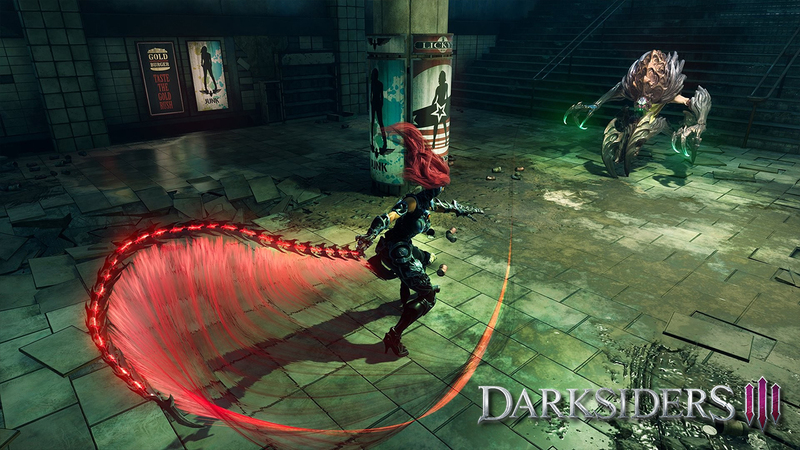 Darksiders: Warmastered Edition and Darksiders 2: Deathinitive Edition will both come bundled with the upcoming Darksiders 3 Blades & Whip Edition. Those who pre-order the Blades & Whip Edition will get instant access to both original games. What’s more is that a 4K patch has been rolled out for Darksiders: Warmastered Edition to upgrade the experience, with an equivalent patch for Darksiders 2: Deathinitive edition slated to roll out before the third game’s launch. What’s more is that both games have been enhanced for the Xbox One X. Those who already own either of the two won’t have to get the bundle to get these updates. Instead, they’ll get the updates free of charge. Both the PS4 Pro and PC versions have already received the update. Darksiders 3 will launch on November 27th for PC, Xbox One and PS4, so you should have plenty of time to finish the first two games if you’re interested in jumping onto the series.